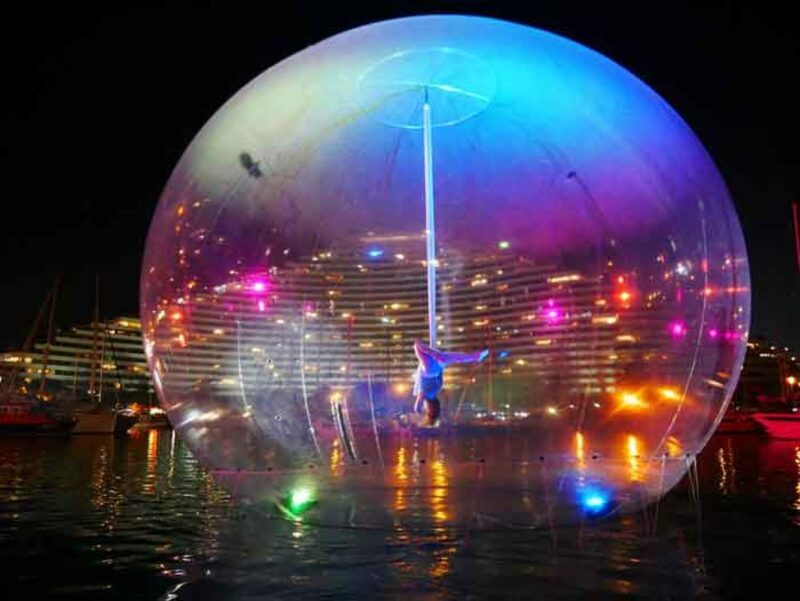 This unique aerial act is performed in a giant transparent bubble. It can be done either on the floor or in the air. Perfect to create a true surprise among your guests.